DKNY Be Delicious (Eau de Parfum): Modern, fun, and unique. The scent and package was inspired by NYC’s nickname, “The Big Apple.” It was launched in the U.S. during 2004. Be Delicious is a combination of apple scent and an incredible blend of exotic flowers and sensual woods. Notes included are: American Apple, Cucumber, Grapefruit, Candid Magnolia, Tuberose, White Muguet, Rose, Violet, Sandalwood, Tender Skin Accord, Blonde Woods, and White Amber. Like its name, the fragrance is delicious enough to make you want to take a bite! Giorgio Armani – Acqua Di Gio Pour Homme (Eau de Toilette): Introduced in 1996, Acqua Di Gio is an all-time favorite. It is a masculine, light, and distinguished scent inspired by the fresh sea, warm sun, and richness of the earth. Notes are: Marine Notes, Mandarin, Bergamot, Neroli, Persimmon, Rosemary, Nasturtium, Jasmine, Amber, Patchouli, and Cistus. Acqua Di Gio is absolutely wonderful, and one of my favorite men’s cologne. Davidoff Cool Water (Eau de Toilette) – I bet this one jogs the memory of many as it was introduced back during the fall of 1991. Cool Water is refreshing, invigorating, and masculine. The signature blue bottle appeals to the Cool Water man with a sense of style. Included notes are: Lavender, Rosemary, Mint, Coriander, Orange Blossom, Jasmine, Geranium, Sandalwood, Moss, Ambergris, and Musk. Dior J’adore (Eau de Parfum): The winner of the 29th Annual FiFi 2001 Awards for U.S. Women’s Fragrance Star of the Year. It is a brilliant fresh floral bouquet that is sensual, sophisticated, and completely feminine. Notes in J’adore include: Mandarin, Champaca Flowers, Ivy, African Orchid, Rose, Violet, Damascus Plum, Amaranth Wood, and Blackberry Musk. J’adore is an incredibly beautiful scent! Jo Malone Orange Blossom (Cologne) – My boyfriend’s mother fell in love with this fragrance and recommended it to us. I ended up purchasing it as her Christmas present after trying it on at the Jo Malone store. According to the official site, Orange Blossom was inspired during a stay at a Bel-Air hotel. It is a sophisticated and timeless fragrance that creates a beautiful floral and citrus infusion. I absolutely love it. However, it is a bit pricey. Main notes are: Orange Blossom, Clementine Leaves, and Water Lily. Chanel No. 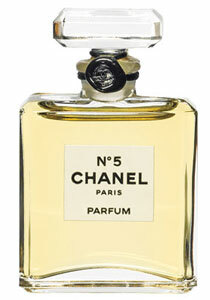 5 (Eau de Parfum) – One of the most famous perfumes in the world. No. 5 is the ultimate fragrance in femininity. It is elegant, luxurious, and one of the most classic scents you can find. Get this for your mother, and she will love it. Notes included are: Ylang Ylang, Neroli, Aldehydes, Rose, Jasmine, Sandalwood, Vetiver, and Vanilla. Yves Saint Laurent L’Homme (Eau de Toilette) – Introduced in 2006, it is a timeless fragrance with a combination of luxury, art and modernity. It comes in a simple bottle with a metallic hexagonal cap. Presentation is very masculine. Notes included are: Bergamot, Cedar, Ozonic Notes, White Ginger, Basil Flower, White Pepper, Violet Leaves, Cedarwood, Haiti Vetiver, and Tonka Bean. Kenneth Cole Black For Him (Eau de Toilette) – To celebrate the 20th anniversary, Kenneth Cole has created a fragrance that is spirited, stylish, and sophisticated. It is a blend of sweet spices and woods. Black For Him is suitable more older, more mature people. Notes included are: Mint, Fresh Fruits, Spices, Watermint, Mandarin, Basil, Ginger, Cedar Leaf, Nutmeg, Incense, Lotus Flower, Black Suede, Violet Leaves, Musk, Ambergris, and Exotic Woods. If you have more perfume ideas for Christmas, feel free to share them by posting a comment! Happy holidays! This entry was posted on Tuesday, December 18th, 2007 at 11:43 pm	and is filed under Gift Guide, Go Shopping. You can follow any responses to this entry through the RSS 2.0 feed. You can leave a response, or trackback from your own site.